StylecraftHOME Melbourne is set to become a new favourite destination for premium residential furniture, lighting and accessories. StylecraftHOME launched in February 2017 in Sydney with the opening of its first dedicated showroom. 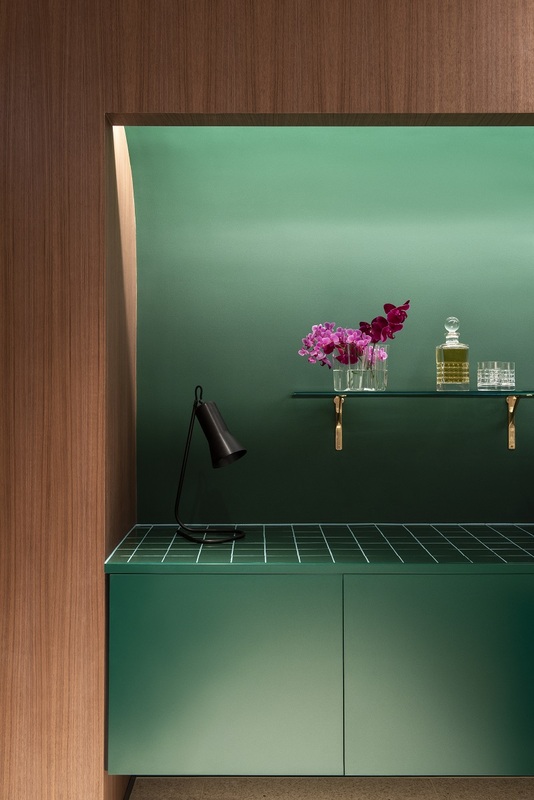 The design community quickly embraced StylecraftHOME as a first choice for luxurious furniture and lighting, spurring the rapid growth and development of the brand and the opening of a second StylecraftHOME showroom in Melbourne CBD. Centrally located on Flinders Lane and surrounded by other exclusive luxury retailers, StylecraftHOME is in the historic building that has long been home to Stylecraft. Having expanded upward into the building, the StylecraftHOME residential collection is displayed on the lower two levels, and Stylecraft’s commercial collection on the three floors above. HASSELL designed the fit out, adapting the airy, blush-toned aesthetic of the Sydney showroom to the character of the iconic building and Melbourne design community. 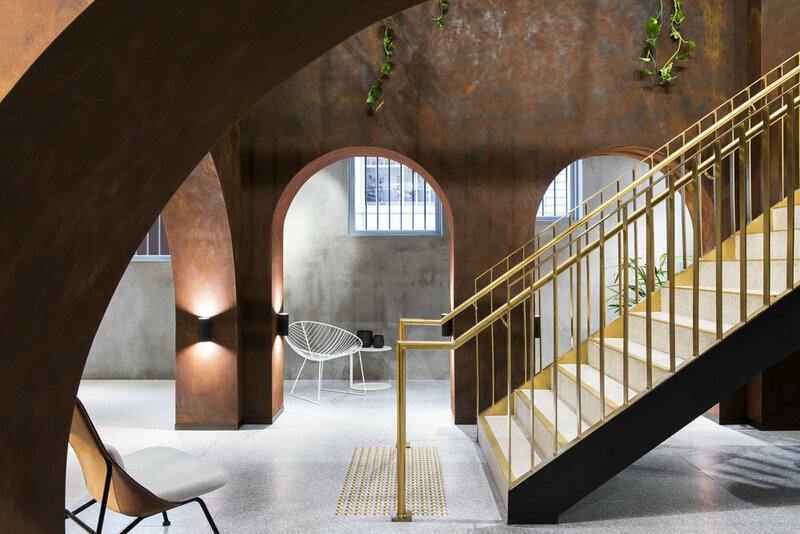 Described as luxe industrial, the space features a portico with copper archways that encircles the central staircase and evokes a European courtyard. Gold bannisters are draped with greenery, floors are terrazzo and white mesh screens define more intimate settings. “StylecraftHOME offers us the opportunity to delve deeper into our international and local collections to feature otherwise unseen pieces alongside familiar classics reimagined for the home environment,” says Tony Russell, StylecraftHOME Brand Director. The new Melbourne showroom is located at 145 Flinders Lane, Melbourne. Who doesn’t love being in bed? Sleeping, scrolling Instagram, reading, just relaxing in general… and how much more enjoyable is it when you have the perfect mattress?! Koala have unlocked a deeper sleep with their renowned mattress – the perfect blend of comfort and support that puts you to sleep and keeps you there. I was lucky enough to test out a Koala mattress and I promise you that the comfort level is divine, it is the perfect amount of ‘soft but firm’ and I am sleeping like a little baby… koala! Ordering a mattress is so easy… order online HERE, if you are located in one of their same-day delivery areas (Sydney, Melbourne, Adelaide, Brisbane and Perth) they can deliver your order within 4 hours and if you order before 2pm they can deliver it on the same day. Outside of their same-day delivery areas delivery is still 100% free, you will receive your mattress within 1-5 business days and receive a text message on the day it is due to arrive so you know it’s coming. And did I forget to mention that it arrives in a box? Yes, it’s compressed in a box which means it’s easy to move, apartment friendly, light weight and expands in seconds. Koala have engineered Kloudcell – a comfortable, breathable, open-cell foam that is refined into the ultimate comfort layer. 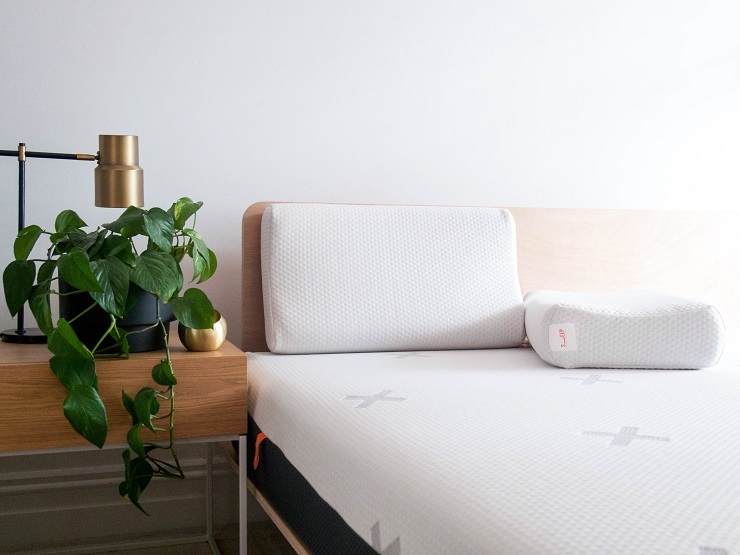 Their unique foam has been tailored to give the lush feel of memory foam and latex, but with breathability and bounce which avoids that ‘sinking feeling’ and the heat that comes with mattresses made from those materials. The open-cell structure of their Kloudcell creates channels in the foam, which provides airflow and enables heat to escape keeping you cool and comfortable. And I think we have all seen their wine glass test – which is made possible by their Zero Disturbance Technology – not only is your body properly supported from head to toe, you also won’t be woken up by your partner, or if you’re the restless one you won’t be waking them up either! Koala offer a 120 night trial – so if you don’t absolutely fall in love they will pick it up and give you a full refund. Some more pretty incredible facts about Koala is that their mattresses are 100% Australian made, have a 10-year warranty, when you purchase a mattress they actually adopt a REAL KOALA with the WWF and in your box you receive the cutest Koala toy and adoption certificate – now if that doesn’t make you want one of these babies I don’t know what will! So far Koala have adopted 37,000 Koalas, planted over 5000 trees’ and have donated over $500K to charities – wow, we love them! The time has come. You have your deposit, you’ve decided on your dream suburb, you know the type of house you want - you are ready to buy your first home! But when should you take that almighty plunge? From my own experience, I can say that there is never the ‘perfect time’ to buy your first home. There will always be personal, family, financial or career obstacles to overcome. But what I can say is that you will not regret it. It’s worth the wait, the effort and worth taking your time to ensure that your first home is your dream one. Artist’s Impression subject to change. To help you along on this super exciting and sometimes a little daunting experience, in collaboration with Stockland, I have put together my top seven tips to help you take that leap of faith and become a home owner! Money, the least fun item that we will address, but it’s the kicker isn’t it! And my biggest tip is making sure that you have shopped around for the best mortgage out there. It’s so important to do your homework. It is 100% worth exploring your options for the biggest purchase you will ever make in your lifetime. I know that the thought of changing banks is daunting – but take it from me, it’s achievable. We have moved our mortgage to a new bank before and yes it was a lot of work, but totally worth it for the savings we made. After all, more money in your own pocket it always a good idea. There are always other costs involved when buying property, the sale amount is not the only cost you are up for, so ensure that you are aware of every single additional cost that may be coming your way and factor that into your budgeting! Even moving house can be super expensive – so take into consideration things such as stamp duty costs, mortgage insurance, conveyancing fees and more. Are you eligible to receive a first home owners grant or any government concessions? This varies in each state, so be sure to do your homework to know what you are entitled to. Imagine how good getting a little helping hand would be, not to mention the boost to the budget! Have you ever considered buying a brand new home? In some cases, buying a new home means that you are less likely to have unexpected costs and outlays, like things breaking down when you move in. You won’t need to replace old and faulty fittings or update any paint work or carpet. Lots of little fixes can end up costing a lot and a new home is not only brand new with zero wear and tear, but there may also be builder’s warranties to provide you with extra comfort. Is building an option for you? If you are ready to buy but you’ve been looking and looking and still can’t find the perfect house in the perfect suburb, maybe looking for a piece of land and building your perfect home yourself is a great alternative? Buying a piece of land, or buying a completed home or townhome in a new Stockland community can open your eyes to things you have never even considered. It also means you have more choice in terms of a home design and layout that will best suit your family’s needs. Have you researched your dream suburb? If you are planning on a specific suburb to be the location of your ‘forever’ home, you need to think long term. There are a lot of factors to consider when choosing where you want to live – inner city versus the suburbs, are you happy to compromise on house/land size to live close to the city, is having a big backyard important to you, do you have kids, and if so, what are the schools like, what will your work commute be like, is there sufficient public transport? Do your research! Sometimes expanding your suburb search area will bring up new and exciting places you had never considered living. New communities in fast-developing areas are popping up everywhere and are great for growing families. They generally offer exciting new facilities such as parks, schools and shopping centres - as well as a host of potential friends who are at a similar stage of life. To help first home buyers, Stockland has created ‘my place’ – a helpful online guide to shed some light on the most important issues facing first-time buyers. Be sure to check it out!